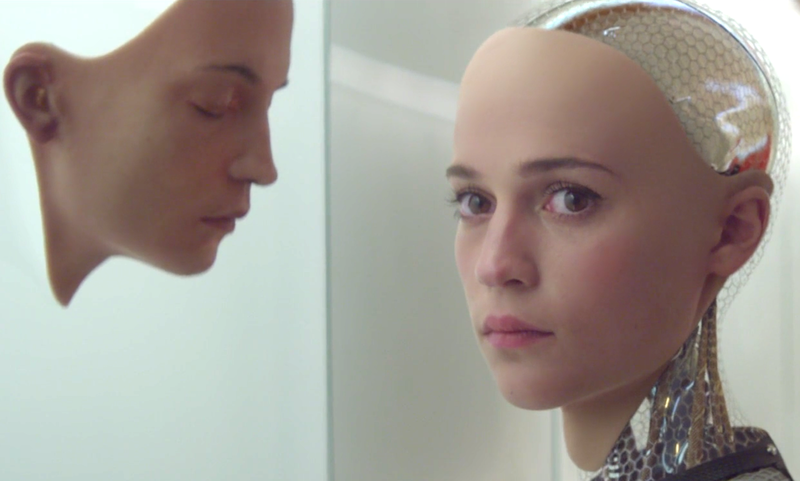 Ex Machina comes from Writer / Director, Alex Garland and stars Alicia Vikander, Domhnall Gleeson and Oscar Isaac. I almost don’t want to say too much about the film, except that you should watch it because you’ll have no regrets afterwords. This is a sci-fi drama about artificial intelligence that has three key characters, one of whom is a beautiful and very smart female A.I. Can one say ‘whom’ in reference to A.I…? I digress. Ex Machina is well written and delivers many tension filled moments to keep you locked in; moments that are brilliantly partnered with just the right musical score. You will get to the end and want to know immediately when the sequel is coming. Sadly I don’t have the answer to that question. Nor do I have any knowledge of whether a sequel is even planned. But live in hope we must. Love your blog. I will watch this movie. Thank you 🙂 Definitely do. I’m interested to know what you think.